Toubkal Mountain is located in southwestern Morocco and is the highest mountain peak in North Africa at 4167metres. Serious hikers come from all over the world to climb this amazing mountain. 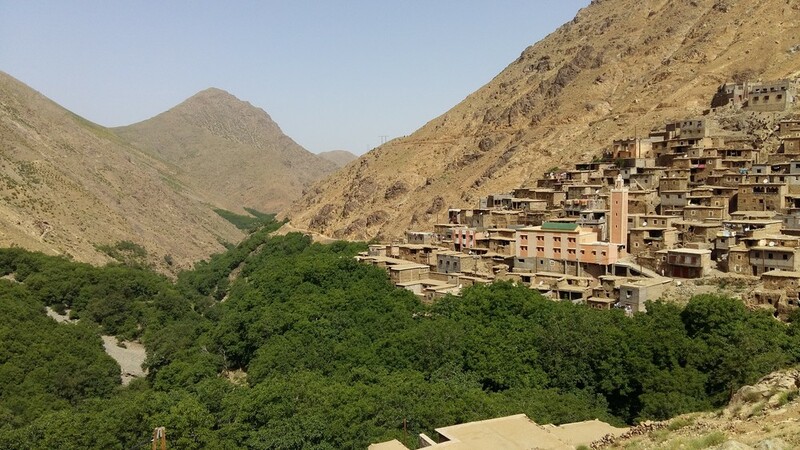 Toubkal mountain is mainly inhabited by the Atlas Mountain Berber tribes who live in the small villages and the high plains of Ourika Valley, Imlil Valley, Azzaden Valley, and Ouirgane Valley. Below are two Toubkal hiking tours we offer. We have range of hiking tours in Toubkal national park, winter toubkal climbing, short Toubkal hiking tours, Berber villages hiking tours. Please contact us for more information on these tours or to have us customize a tour for you. 2. Berber villages visits ,walking with locals and learning lots things from them. 3. hiking and camping in natural spots of the atlas mountains . four people: 260 euro per person. what is included: Qualified mountain guide.Transport for two transfers .Accommodation during days of the trek ( guest house, refuges) .Food during days of the hike( breakfasts, lunches, dinners). One mule to carry your luggage and food. Day 1: Transfer from your hotel in Marrakech to Imi Oghlad village.and start walking to Azzaden valley, overnight guesthouse in Id Issa village.1h30 of drive, 4 hours of walk. 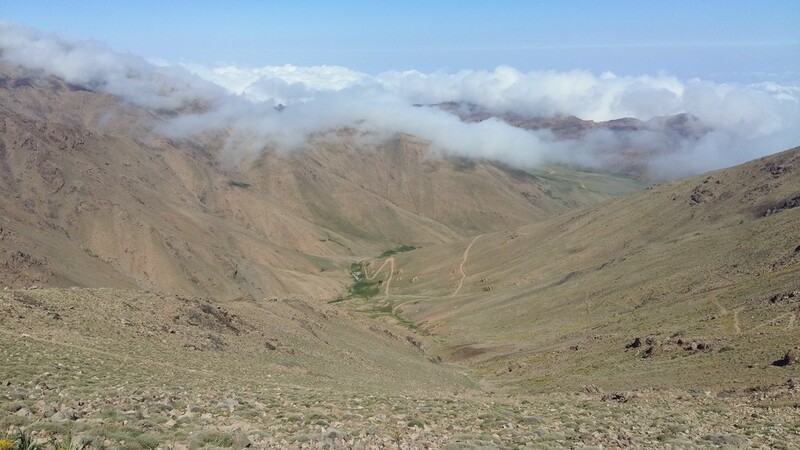 Day 3: today is full of great views of atlas mountains walking uphill to get mountain pass of Tagdalt and then downhill to Tizi Ossem village thereafter short walk to Tamsolt refuge where you spend the night. 6 hour of walk. Day 4: fantastic hiking day climbing Aguelzim mountain (85 zigzags) in order to reach Aguelzim mountain pass 3560 m then downhill to Toubkal refuge3207m where you have Accommodation. 5 hour of walk. Day 5: day of Toubkal summit 4167 m, departure must be early around 5h30 in order to avoid weather changes, today is challenge little,there are places where you scramble and some other places are sleep but the walk must be slow. it takes 3h30 to reach the top and another 2 hours to walk down to refuge where you have lunch then continue the walk down to Imlil valley.Overnight in guesthouse in Armed village.8 hours of walk! Day 6: nice walk through fields and Berber villages of Imlil valley.then you have lunch in Aguersioual village thereafter, transfer back to Marrakech. two people: 290 Euros per person. three people: 240 Euros per person. five people: 210 Euros per person. what is included: Qualified mountain guide.Transport for two transfers. Accommodation during days of the trek ( guest house, refuges). Food during days of the hike( breakfasts, lunches, dinners). One mule to carry your luggage and food.